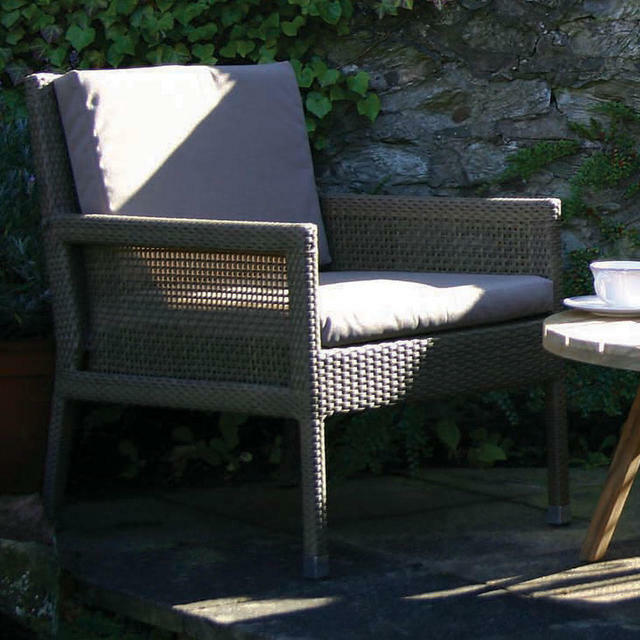 Why not chill out and sip your espresso in blissful relaxation. 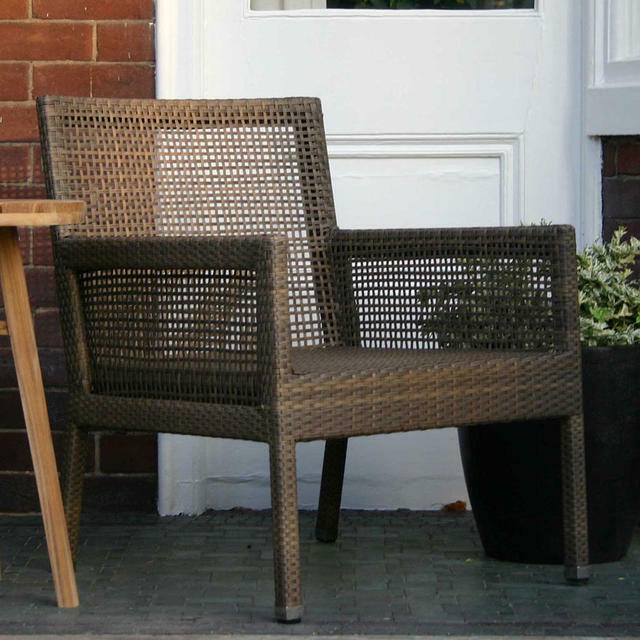 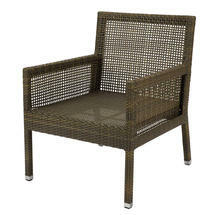 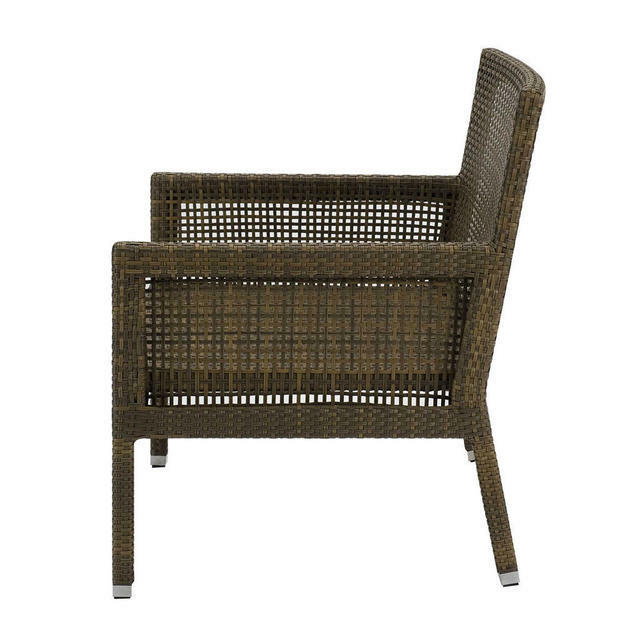 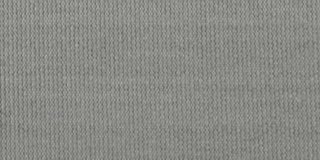 Classic, plantation style lounge colours in an open all weather outdoor weave. The weave is in soft summergrass colour, hues of soft burnished brown. 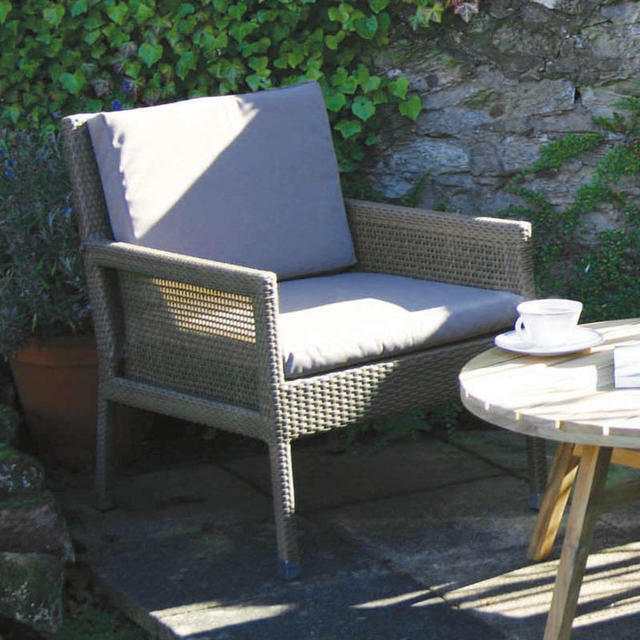 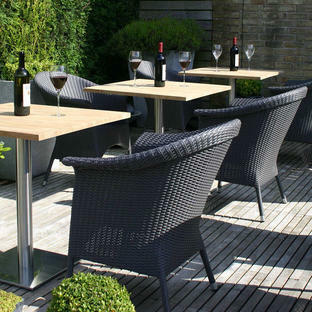 Seat and back cushions are available to order separately in outdoor fabric. 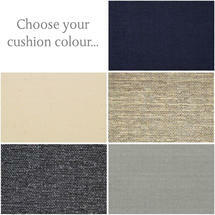 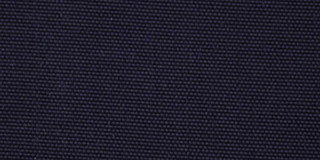 Simply type the fabric name in the colour choice box. 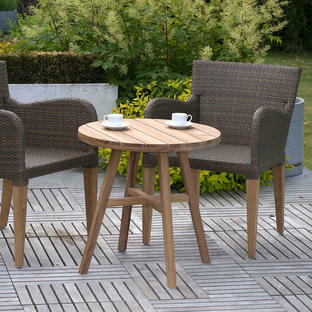 The Aroma Lounge chairs are delightful when teamed up with side or coffee tables from the Kinsale collection. 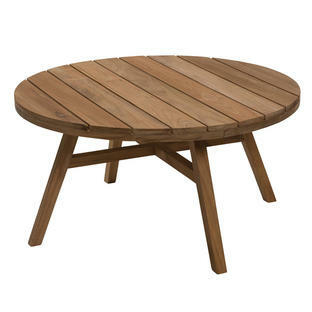 The teak wood complementing the summergrass colour weave perfectly. 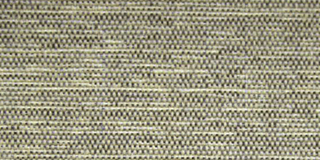 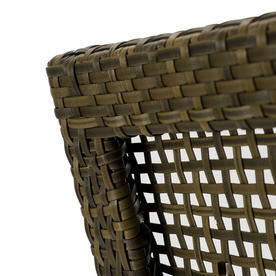 Synthetic Weave in summergrass colour. 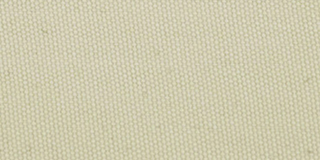 The cushions are covered in an outdoor fabric Olefin. 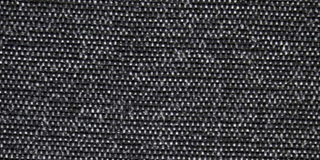 Olefin fabric is a synthetic durable fabric, resistant to fading and mildew, but the cushions should be brought in during periods of inclement weather, and stored inside during winter months.